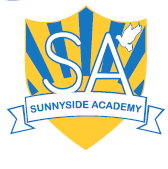 Sunnyside Academy is a larger than average sized mainstream school which draws its pupils aged 3-11 from a wide area. Sunnyside also has three separate bases for children with specific needs. Sensory Communication Base, High Needs Base and VI base. The admissions procedure for each base follows the same principle – via a panel which is led by Middlesbrough Local Authority. Sunnyside has three separate bases for children with specific needs. Sensory Communication Base, High Needs Base and VI base. The admissions procedure for each base follows the same principle – via a panel which is led by Middlesbrough Local Authority.